During the 1900s, many whales were commercially harvested almost to extinction. Amongst the most impacted were the larger baleen whales, those species with comb-like baleen plates used to strain the water for food (such as krill and small fish). In 1983 the International Whaling Commission decreed a moratorium on commercial whaling in an effort to let whale populations recover. Some species have begun that recovery, others still only occur in very low numbers. What are the prospects for these massive marine mammals as we move into an increasingly climate-impacted future? My research took an ecosystem approach to predict what whale numbers will likely be by 2100. My focus was a group of Southern Hemisphere baleen whales. 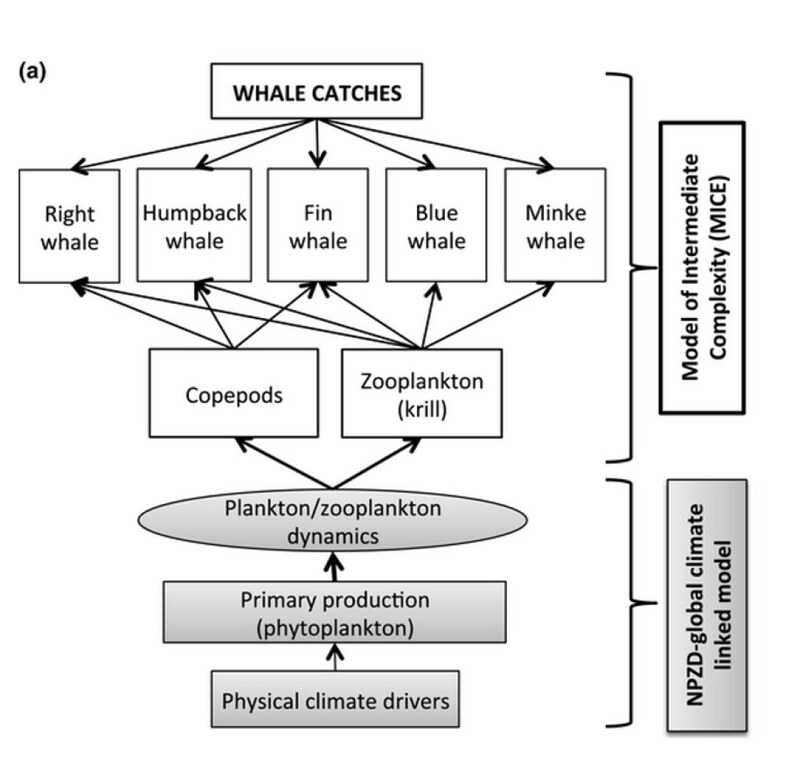 Working with colleagues at CSIRO I used a model nicknamed MICE (short for Model of Intermediate Complexity for Ecosystem Assessments) to integrate important features of ocean and biological systems to create a more holistic model of the whale ecosystem. We simulated whale populations based on what we knew about the species’ life histories and then subtracted historical catch numbers from between 1890 and today. We also coupled predator-prey information from our MICE model to global climate models, which allowed us to predict how whales are going to respond given expected future changes in primary productivity in the Southern Hemisphere. First we estimated what current population levels are for several species. Then we projected forward. Our analysis suggests that none of the whale populations that were harvested extensively during the 19th and 20th century have recovered, and their slower reproductive rates mean some are slower to bounce back than others. 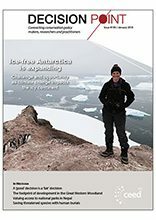 We predict that Antarctic blue, southern right and fin whales will be at less than half their pre-exploitation numbers by 2100 because of slow growth rates and heavy historical whaling. Blue whales are currently at around 1% of pre-whaling numbers. Figure 1: A schematic of the interactions included in the MICE coupled with an NPZD model. Arrows identify the direction of the relationship in the model. One species that has bounced back relatively well after whaling stopped in the late 20th century is the humpback. 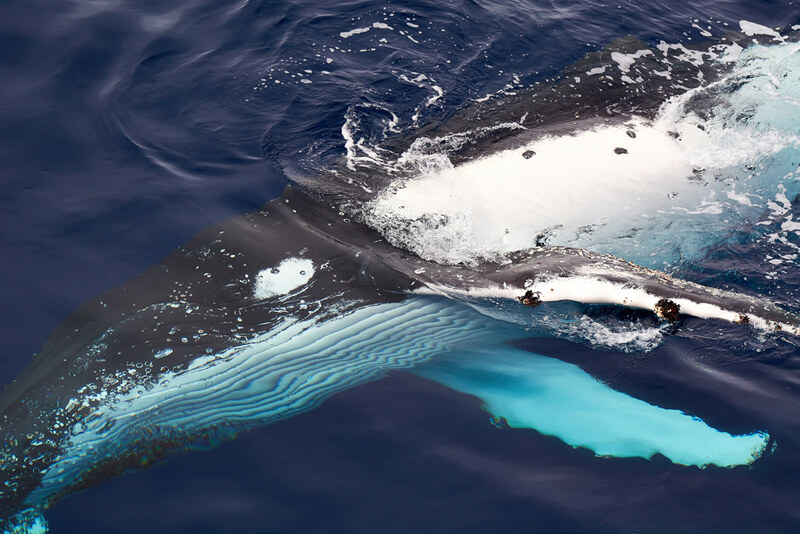 More than 200,000 humpback whales were harvested from Southern Hemisphere waters since the late 18th century. Today their population is estimated to be about a third of the size it was prior to the days of industrial-scale whale harvests. While that might seem low, by 2050 we could expect the population to have recovered completely, which is good news for whale watchers along the Australian coastline. The story is not so positive for the southern right whale (so named because this species was easy to catch with high commercial potential so was regarded as the ‘right’ whale to hunt). We estimate that southern right whales globally remain at less than 11% of their pre-whaling numbers. This species was heavily whaled in the 1800s to the point where there were only 300 left in the world by the 1920s. Then they were hit again in the 1960s and 70s by illegal Soviet whaling. Combine this with their slower reproductive rates and the outcome is for a slower recovery. This is the first time a complex ecosystem model that includes ocean physics and climate change has been used to predict future whale numbers, and this research helps answer some of the uncertainties regarding their recovery. Population estimates and plausible future predicted trajectories for Southern Hemisphere baleen whales are basic requirements for management and conservation.